There is nothing better than a good wool carpet. Wool carpets are natural, sustainable and renewable providing comfort and durability. That said, many synthetic (polypropylene, nylon, solution dyed nylon, solution dyed polyester) and eco carpets will provide easy care flooring for a growing family. 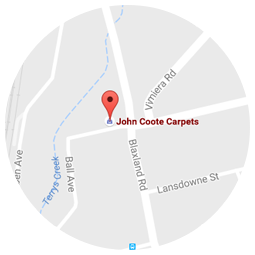 John Coote Carpets offers a huge amount of choice in carpet ranges to suit any décor or budget for both commercial and residential applications. Customers are welcome to borrow samples and we offer an obligation free (conditions apply) measure and quote service. Our staff are competent to answer your questions on carpet options, and to make suggestions as to the most suitable carpet/s to meet your needs. Our pricing structures are EXTREMELY competitive.